That’s right I love Mums! They are one of the most resilient flowers and a gift from the Goddess! Gorgeous in the fall. Dormant in winter and summer. Then when everything else goes to sleep for the winter, this beautiful array of color splashes across our landscape. I’m posting this to share how to continue having these great gifts keep giving every year! 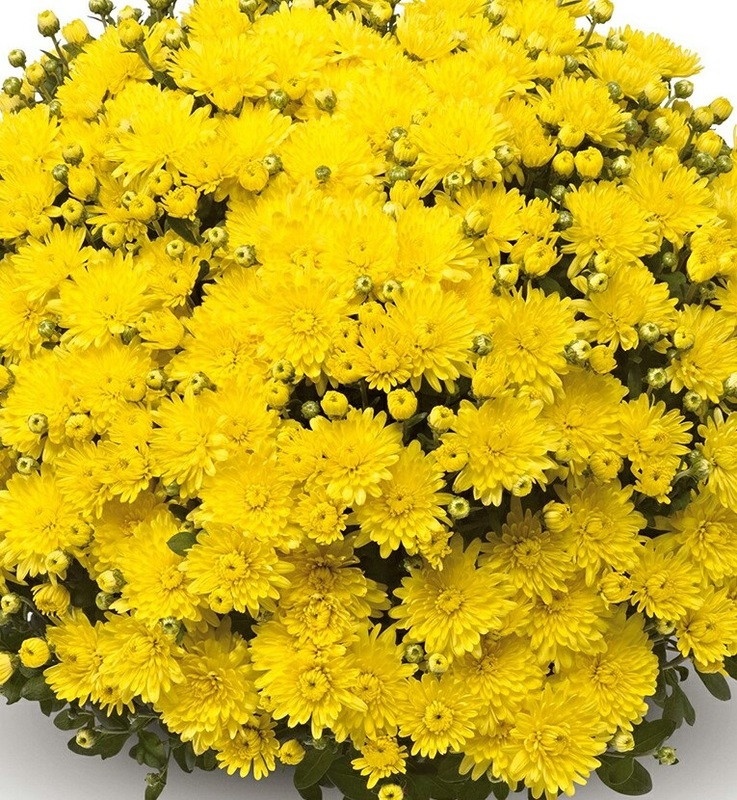 Mums Come in a wide variety of colors, Yellow, white rust, a maroon sort of purple.. even lavendar! My favorite is yellow. For me the yellow feels like spring has returned (without the agony of pollen!) 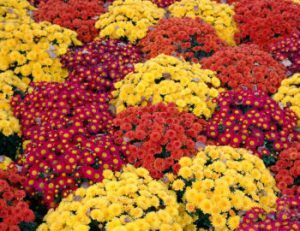 I started buying large Mums in the fall for events. I bought the large 20″ round gorgeous for decoration. Most of my friends just threw them out when they went dormant not realizing what a great gift they can be.. super low maintenance wonderful plants! Above is a photo of them just waking up in October or depending on where you live maybe it’s in September. They like the cooler weather, and go dormant when the temperature drops in those 40 degree marks. So for us in Las Vegas, we keep them right up to some time in December. When you buy your Mums at the nursery they should be in partial bloom so they last longer. Water every few days, keep them moist. I’ve been leaving mine in the pots all winter and then planting in the spring. But you can plant them in the winter time and leave them to sleep in their new beds. I’m just not into planting that time of year.. I cut back the dead stems, to find a bit of happy green beneath. It’s that simple.. Trim and plant. 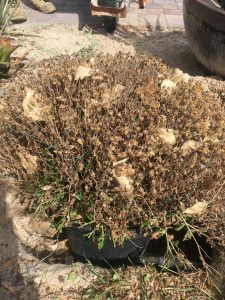 Leave them in a place where they will get plenty of sun in the fall. A southern exposure is best. 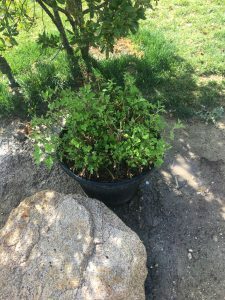 I have Lantana planted in those hot zones on my property and Mums in the same beds, so when the season changes and the Lantana goes dormant the Mums wake up and I have color all year long. Happy planting and many blessings! 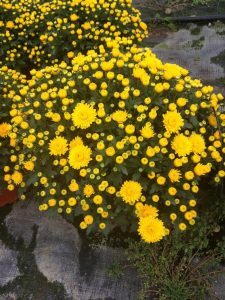 This entry was posted in Gardening and tagged I love Mums. They would be smashing in your garden luv!